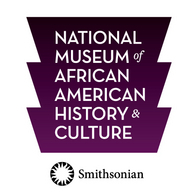 The National Museum of African American History and Culture is the only national museum devoted exclusively to the documentation of African American life, history, and culture. It was established by Act of Congress in 2003, following decades of efforts to promote and highlight the contributions of African Americans. To date, the Museum has collected more than 36,000 artifacts and nearly 100,000 individuals have become charter members. The Museum opened to the public on September 24, 2016, as the 19th and newest museum of the Smithsonian Institution.